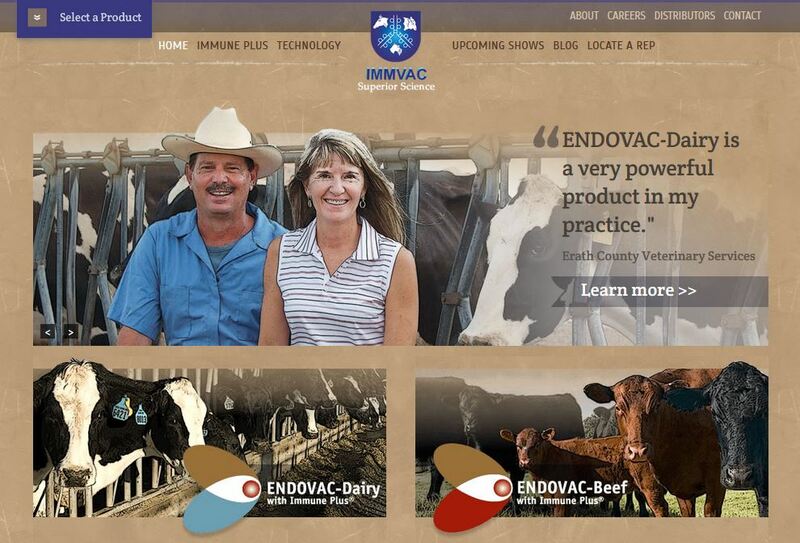 IMMVAC uses large imagery to portray their industry: animal vaccines and serums. It’s always been and always will be: people love pictures. Remember when you were a kid and books that only had pictures?? Remember how much you learned and gained from them? Whenever I’m researching or browsing websites I’m constantly drawn to interesting photographs and cool graphics even before I check out the words presented to me. Text content is important, of course, but I feel that’s what people will get to once images and graphics catch their eye; the right images can increase a visitor’s hangout time thus lowering your bounce rate. Whether your site includes photos of people, stock or professionally done, or a prized bear you hang on the wall of your business, pick images that say something about who you are. Use imagery that conveys emotion, images that make your visitor want to learn more. 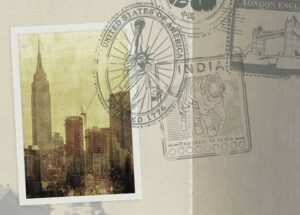 Recently MayeCreate designed a website for an immigration law firm. What comes to mind when you pair immigration and law firm together generally entails a official-looking government building, right? We wanted to think outside the box. The GILS Law website not only shares content about the firm, but also allows the viewer to interpret the certain old world feel the client desired. 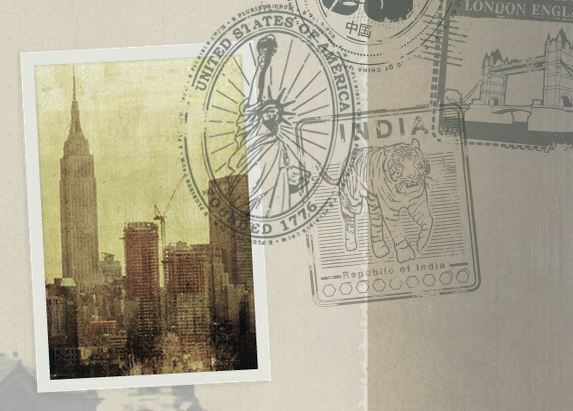 Utilizing images of old New York, vintage Ellis Island, antique suitcases and black and white photos the website’s images alone give readers a feel that the company is an established firm far more than just including a picture of a government building. I learned in college that often, the perfect shot, the one you’re waiting for, is ACTUALLY just a half-step in another direction. What the heck does that mean? Take a mental step further forward or back from where you are. Just step outside the “average image box” a bit and find images that actually pull people into your website. Go from, “Yeah, I get it.” to “Oooooh… I never thought of it like that!” Stop thinking, “I need to show people we’re professional.” and define what makes you professional, how you display that on a daily basis and what makes your version of professionalism different from your competition. Early in the www most websites were mostly words with a random boxy image thrown in here and there; overall, they were blah. Images have become more and more prominent, of course, but what has also come around is the use of graphics. 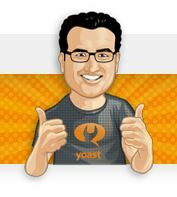 Yoast utilizes this guy all OVER their website; I guess you could call him a mascot. One of the services MayeCreate offers with a website design is Search Engine Optimization. Within our WordPress sites we utilize yoast, a SEO plugin. We aren’t going to go into SEO today, I just want you to look at their website! Here it is again: yoast. 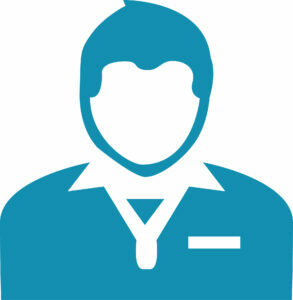 The flat Tranquility dude is used, consistently, to represent their customer service: he’s always there for you. What I see more and more are flat graphics, from icons for navigation to actual branding use. Flat design has been sweeping the design world and personally, I really enjoy these sort of graphics and I enjoy using them in my designs. Flat graphics not only create a clean, modern, uncluttered look, they also improve a website’s loading time as some images, if not sized correctly, can create excruciatingly long load times and up your bounce rate and we all know THAT is NOT good. The St. Louis Bridge Co. website utilizes the width of their website to aptly illustrate their industry: bridges. A common trend developing in the website world are websites with large, photographic backgrounds. When utilized in a useful way this technique can be pretty awesome! Check out Half Acre Beer Company in Chicago. While they have that giant bear head slap in the middle of their site, the picture is muted in color and somewhat dark allowing the stark white text to really pop. It’s eye-catching, but it’s not distracting. The burning, or darkening, along the sides allow space for clear navigation and social media icons. I have no idea of the significance of the bear head, it’s merely hanging above the bar at the brewpub, but it looks good! Overall, a success! If photographic backgrounds aren’t your fancy, there are still ways to use large images on your website other than having them as a background. St. Louis Bridge Construction Co. utilizes the span of their website to perfectly illustrates the expansiveness of their business: bridges. A picture can say a thousand words, as you know; what do you want the words of your website’s images to say? What will they convey about your business? Don’t rush the process, take time and find those images that will wow your visitors.